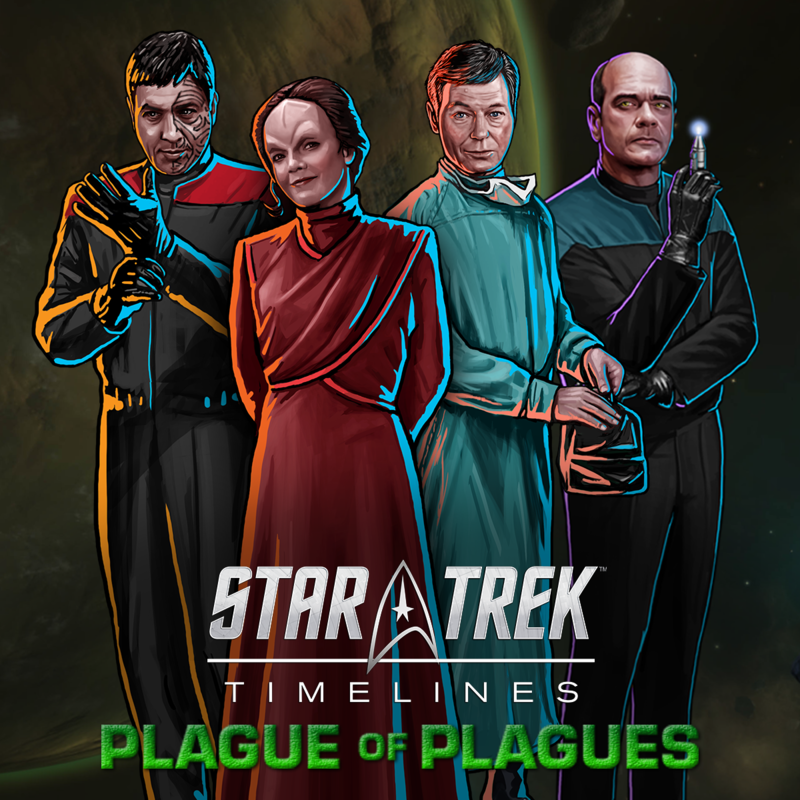 The Vidiians--a Delta Quadrant species afflicted with a disease which drove them to steal organs from other compatible species--have made many enemies in their efforts to save themselves from the Phage. One such enemy, the inaccurate Kyrian version of Chakotay, has vowed vengeance, and unleashed a new form of the Phage which not only affects Vidiians, but also anyone Chakotay views as their allies. Assimilated Hawk (New) - this crew will be featured event crew in the event starting on 01/10. • small bonus: variants of the Doctor (EMH), McCoy, and Chakotay.